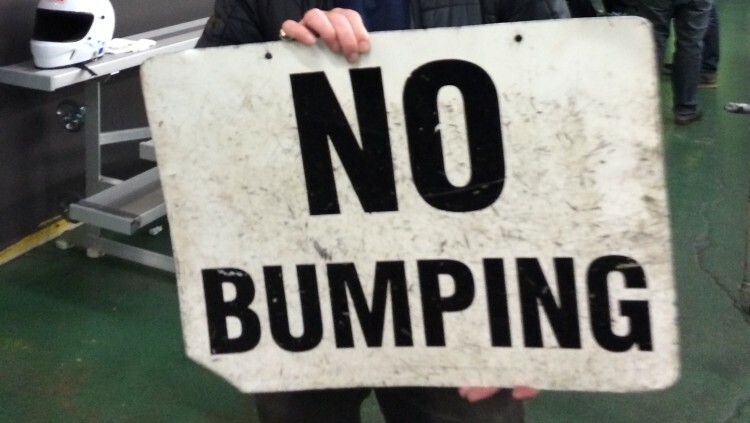 Hey Bruce – No bumping! 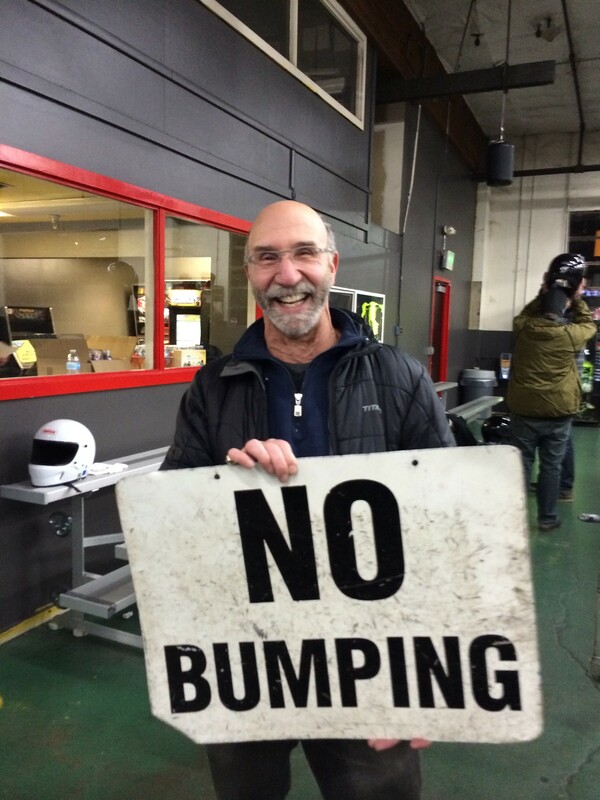 Race number 4 of the Kart Racing Series is in the books and we saw some changes in the standing for both GT1 and GT2. Scott Huck continued his dominance of the class and pretty much has it locked up for the series. Carlos Santayana and Michael Kardas had their first podium finishes and Bruce Feller continued his, well, bump and grind. It seems that every final has Bruce getting sideways with someone and this race was no different. It has become comical and predicable that Bruce will end up either 3-wide on a corner or somehow stuck in the wall. 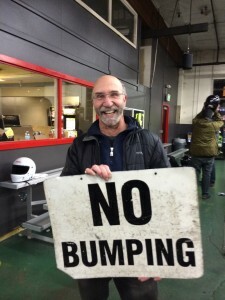 The workers at Sykart have dubbed the phrase “don’t pull a Bruce” when issuing instructions to the racers before each of the races. Luckily, Bruce is a good sport and we’re all having a good time with it. Jesse Burkett had the GT2 series all wrapped up but missed race 4 and opened the door to a few of the guys who have been battling for the second, third and fourth spots in all the previous races. With Jesse gone, Mike Christopherson took the top spot with Scott Gallagher in second and Shane Verhaaren getting his first podium spot. The GT2 races have been pretty clean, we’re all getting a little better, a little smoother each race. Jesse, Mike and Scott are in a close race for 1st place in the series. It all comes down to the the last race in the series occurring on Tuesday, March 4. If you missed joining this series and want to join in next time, watch for this series again next Fall.